In News, Shashank and Barry do their best to stay measured while discussing the case of the 1500 children lost by ICE. Shashank shares a couple of odd poll numbers about some world leaders and Barry reacts. Shashank gives us an update on how his newly adopted puppy, General Zod, is doing. For our main topic, special guest Amy Nelson who, among many other things, is a teacher joins Shashank and Barry who are also in the education field and talks about her love of teaching. 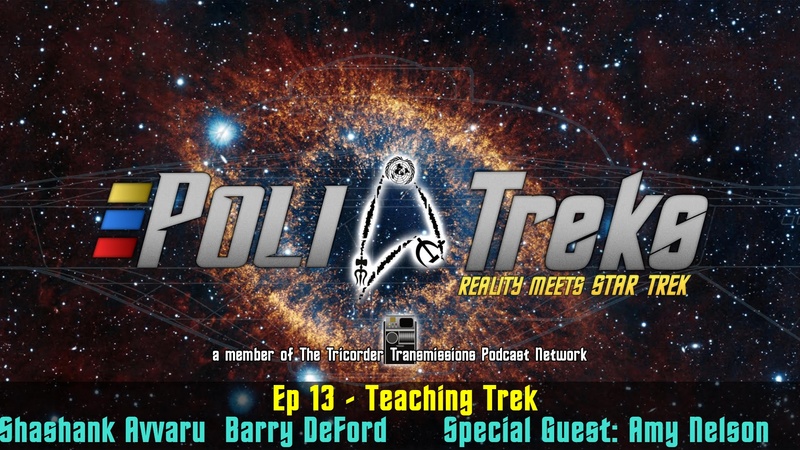 The trio also discuss many topics in which Trek and education intersect such as: "How do we use Trek in the classroom?" Things get especially competitive when Trek merchandise in the classroom is brought up.